However, as I’m pretty crafty and I have whole bean coffee at home, I decided to make a coffee infused oil in the meantime. 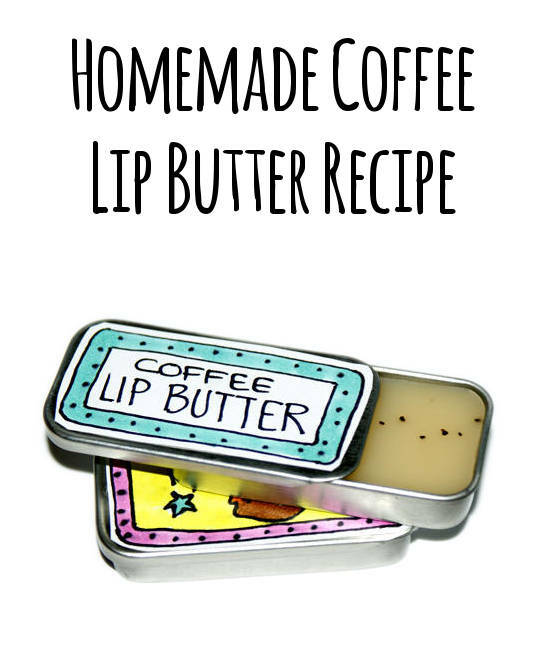 It turned out quite nicely for the recipes I had in mind including this one for a homemade coffee flavored lip balm recipe! To make my coffee infused oil I coarsely ground 3 Tablespoons of whole coffee beans in a coffee grinder. I then combined the grounds with 4 oz. by weight of olive oil over low heat for about 15 minutes, then strained the oil. As I did not have any cheesecloth handy and I’m often an impatient crafter, I improvised by taping a coffee filter to the top of a cup then poured the coffee and oil into the filter. Once the majority of the oil dripped through – yeah, it mostly worked – I carefully removed the filter and then squeezed the rest of the oil out into the cup. A few grounds got through, but nothing major. 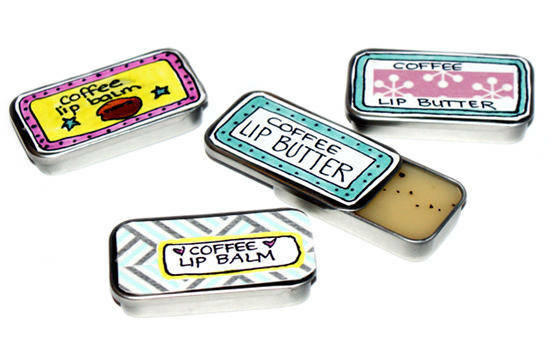 To create this coffee flavored lip balm recipe you’ll begin by using a digital kitchen scale weigh out the beeswax and cocoa butter in a glass Pyrex measuring cup. Heat in the microwave at reduced power (or in a double boiler) until half melted, then weigh out the shea butter and add to the cocoa butter and beeswax and continue heating until full melted. Using a pot holder or kitchen towel to remove the measuring cup – it will get hot! – add a pinch of sugar, if desired, and stir well. Then weigh out and add the coffee infused olive oil to the mixture and stir thoroughly to combine. Finally, using a different 3ml Graduated Plastic Transfer Pipettes for each oil, add ten drops of the clove oil and a measured 1/2 ml each of the flavor oils. 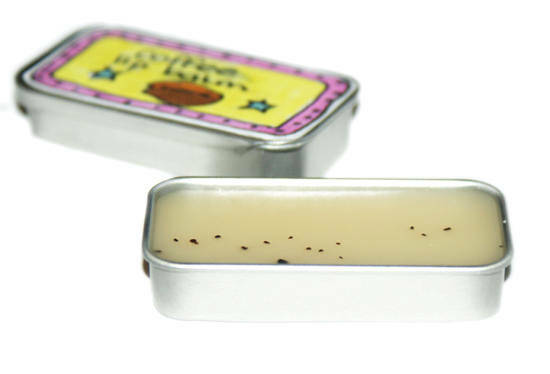 Mix well then slowly pour the lip balm mixture into your containers of choice. I used .25 oz. slider tins for this project. If you also use slider tins you can expect this recipe to fill about 9 – 10 tins depending on how full you fill them. Be aware however that if you overfill them the lid will scrape off excess lip balm when you close it. I even sent a few of these out with some of my recent orders as a surprise gift for the holidays! 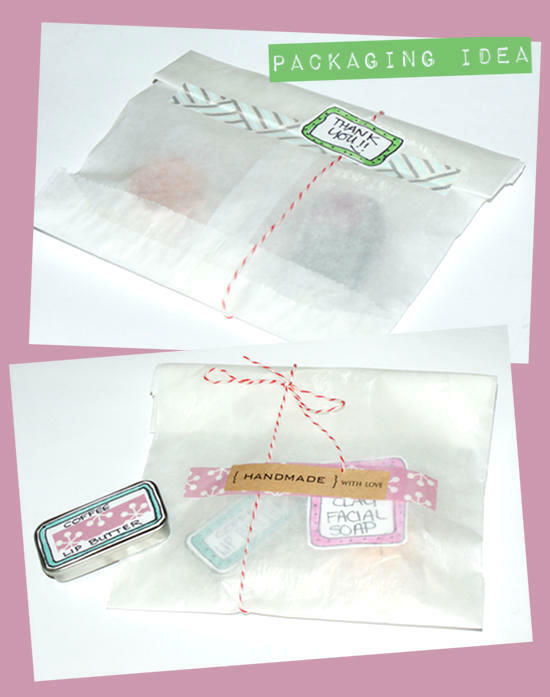 Some glassine bags , washi tape and red & white Baker’s Twine and they were all wrapped up like little gifts!